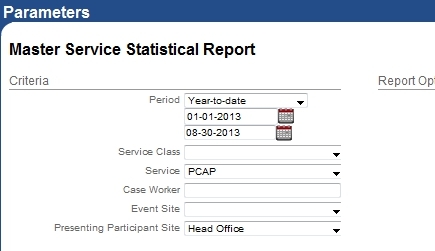 Look for the grey heading “Service Reports”, and then click the link for “Master Service Statistical Report”. A box should appear with the title “Parameters”. Under “Presenting Participant Site”, select your site number.